Errigal Apartment offers everything your party of 6-8 could ask for. It is situated right in the heart of Morzine. The spacious living and dining accommodation is warm and inviting, with a modern alpine ambience. Guests will enjoy beautiful views of Avoriaz from the living room and balcony. The large dining table and fully equipped kitchen make self catering easy and enjoyable. This is a stunning 3 bedroom apartment sleeps 6-8 people (one double/twin room, one twin room, one bunk bed room and a pull out sofa bed in the lounge). It has fantastic facilities including an open plan living area, 2 bathrooms, parking, lift to street level, plasma screen and sky TVM Wifi etc. 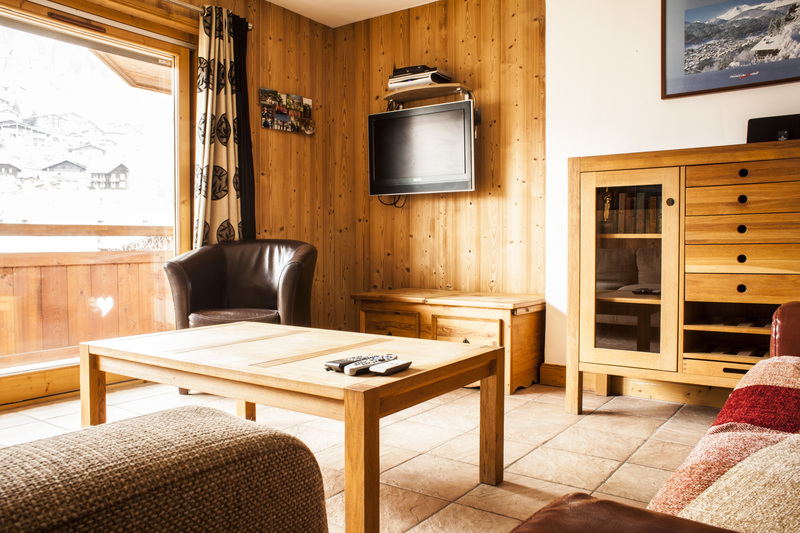 The apartment is located in the heart of Morzine and within easy walking distance to the ski lift stations, swimming pools, tennis courts, Shops, restaurants, and all the amenities Morzine has to offer. Errigal starts at £375 for the whole apartment per week. We take a £200 security deposit with your final balance to cover any damages that may occur during your stay.